Find a Custom Mortgage Solution Now! Welcome to Top Flite Financial, Inc.
We are dedicated to providing our clients customized financial products, providing loans that Banks and Credit Unions often turn down. We are known for having minimal overlays, proudly providing the most relaxed credit guidelines in the country. 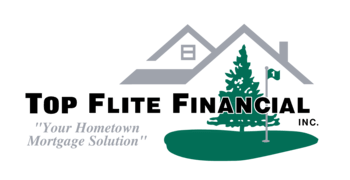 Top Flite Financial has been a trusted nationwide lender for over 15 years, bringing to our customers years of expertise built on integrity, ethics, excellence and dedication. Our business runs from 9:00 am to 7:00 pm, but our Loan Officers see to it that they answer all your questions, even after hours. At Top Flite Financial, we make a stressful process easy. Even at times when our own clients believed closing on a mortgage was not possible – we were able to get them to the closing table. But don’t take it from us, see below ……. www.tffbuckeyes.com is your online resource for personalized mortgage solutions, fast customized quotes, great rates, & service with integrity.